Plan your adventure here at the Hutchinson Island Marriott Beach Resort & Marina! Boasting an exceptional location in Stuart, Florida, our hotel showcases an 18-hole golf course, multiple tennis courts, three outdoor pools and a private marina. The main hotel is just mile from the beach, while our upgraded Sandpiper Tower suites feature a pristine beachfront location, separate from the resort grounds. 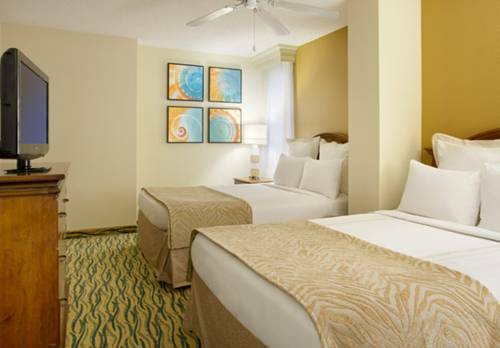 All of our accommodations are appointed with tasteful design and a variety of helpful perks to help you feel at home during your stay here in Hutchinson Island - from pillow top bedding and high-speed Internet to double vanities and premium products in the bathroom. Those planning events here in Stuart can make use of our hotel's 30,293 square feet of venue space. And our convenient location allows for stress-free exploration of Hutchinson Island's top attractions, including Jensen Beach, the Elliott Museum and more. A first-class experience awaits you at the Hutchinson Island Marriott Beach Resort & Marina. American cuisine is on the menu here at Baha Grille, our signature restaurant. After a busy day of exploring Hutchinson Island or visiting the marina, join us to feast on fresh seafood, juicy steaks and a selection of pasta and other dishes. Sandpiper Tiki Bar showcases handcrafted cocktails and a warm, relaxed atmosphere; it's a favorite among hotel guests and Stuart residents. Our restaurant serves sandwiches, burgers, salads and more. Sip a drink poolside and soak up the Hutchinson Island sun at Latitudes Tiki Bar. We offer a diverse restaurant menu, expertly crafted frozen drinks and live entertainment on the weekends. Come see why we're one of the marina's most popular destinations!